SWEET DOVE OR CHIC JEWEL? COLOMBA RUSTICHELLA , SWEET DOVE OR CHIC JEWEL? Colomba di Pasqua is a traditional Italian Easter yeast bread. It is shaped like a dove (colomba in Italian), the symbol of peace and resurrection. 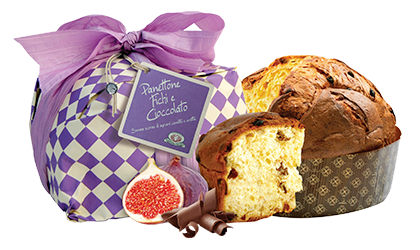 The birth of the colomba dates back to the year 572, when King Alboin,after three years of siege, captured the town of Pavia in northern Italy on Easter Eve. Evading the guards, an old baker was able to reach the king and offer a dove-shaped leavened bread. “Alboin,” he said, “I offer this symbol, as a tribute to peace, on Easter day.” The sweet scent and the convincing message persuaded the king to give a promise of peace. There are several legends about the birth of the Milanese panettone. who worked for Ludovico il Moro, the Duke of Milan. The boy was secretly in love with Adalgisa, daughter of Toni, the most popular baker in Milan. To spend more time with her, Ugo managed to become a pastry cook apprentice. Christmas was coming, and Ugo wanted to give a twist to the usual bread.He sweetened up the dough, adding sugar, butter, eggs, raisins and chopped candied fruits, then he cooked and shaped it like a giant muffin.The novelty instantly became the talk of the town. Everybody wanted the new Toni’s bread (pan de Toni) soon named panettone. There’s another side to the story. The Peduzzi Family (with Gaetano Sergiacomo, founder of Rustichella d’Abruzzo in 1924 and grandfather of the current Owners Maria Stefania e Gianluigi Peduzzi) moved from Valle d’Intelvi (Como) to Chieti (Abruzzo) in 1800, bringing with them all the Lombard culinary influences and starting the generation of high quality Food & Wine. Here comes the artisanal production of this panettone labelled Rustichella D’Abruzzo from natural sourdough starter yeast, a mixture of flour and water. Each day throughout the entire year (including holidays), 10 kg of dough known as the Starter is prepared. It is composed exclusively of flour, water and 1 kg from the previous days Starter. Another taste for the Figs and Chocolate Panettone, candied fruits and raisins free, made of irresistible dark chocolate drops and dry dotted figs from Cosenza. A tasty voyage discovering of Bella Italia from north to south, from the knowledge of the Pastry Master to the generosity of the sun that kisses the most desirable fruits of Italy. 90′ RAPIDA. A new FUTURISM brings the fastest cooking pasta in the world. Italy,1909. The ‘futurismo’ artistic movement is born!! Industrial, energetic, creative, daring, combative, controversial and ..super fast! Launched by the Filippo Marinetti’s tribe of innovative artists as a tribute to modernity, speed, violence, war, and the machine. Painting, sculpture, architecture, photography, poetry, fashion, cinema, music, theater, dance, typography and interior design and food! avantgarde, innovation, revolution, rebellion.. those guys were real punks of the era! To celebrate the rhythm of futurism, Rustichella d’Abruzzo created the amazing “C” shaped 90′ Rapida Spaghetti that connects the futurist concept of speed with that of a ready-made pasta in the shortest cooking time: only 90 seconds to boil and they are ready to be served with your favorite sauce. This revolutionary ‘speed in cooking pasta’ ( not a not a precooked product) reduces usage of gas, electricity and water, is highly digestible, rich in perfume and flavour of weat.Rustichella draws its origins from the ancient pasta factory Gaetano Sergiacomo, founded in 1924 in Penne, Italy and uses only the best durum wheat semolina selected, w ith a higher gluten content, mixed with pure mountain water to give a unique flavor and tenacity to its pasta, now available in more than 70 countries worldwide. luckily I was invited to a ‘Futuristic Dinner’ by lovely Rustichella owner Maria Stefania Peduzzi who entertained her guests with an amazing ‘one of a kind culinary experience’ inspired to the artistic movement. The futuristic dinner took place at RED la Feltrinelli , located i the trendy area Isola, in Milan. Chefs Zonfa, Martin Sirmais, Cristian Di Tillio and Giuseppe di Mauro created a daring menu that started with a colorful dish of finger food featuring the famous PolloFiat, followed by spaghetti 90 “Rapida, Paccherini with fruit and a variety of desserts. All served with futuristic poetry and music thanks to the actress Franca Minnucci who and Vincenzo Di Nicolantonio’s Work Music in Project.